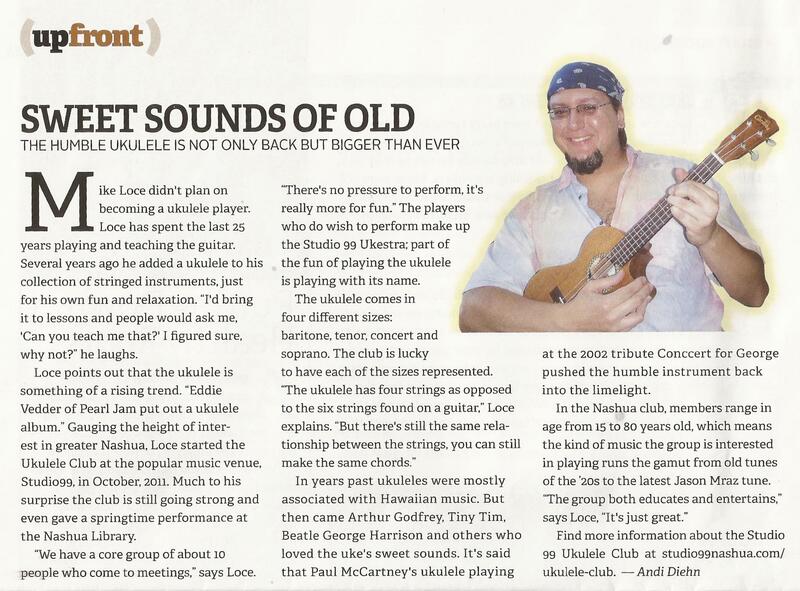 The Ukestra with Mike Loce℠ is an incredible labor of love, I first started it in 2011 as a ukulele workshop in Nashua and it evolved quickly into a performing ensemble, with great NH press and TV coverage. 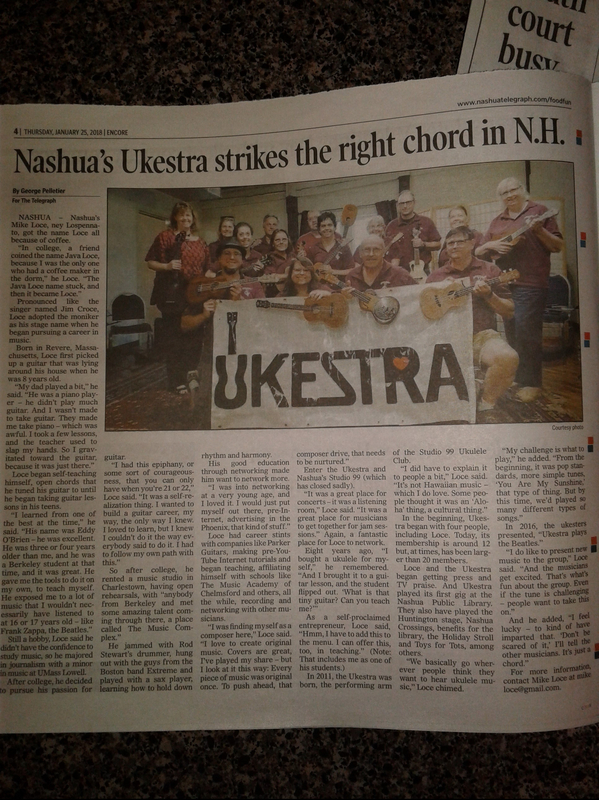 Many ukulele groups have come after us, learned and may be bigger, but in New Hampshire, the Ukestra group was the first on the map! You can click on the photo of the group performing to be directed to a dedicated website for this terrific, ever-evolving group of ukulele enthusiasts. Article and interview courtesy of Andi Diehn. NH Magazine, summer 2012. Interview by George Pelletier, Nashua Telegraph, January 2018.